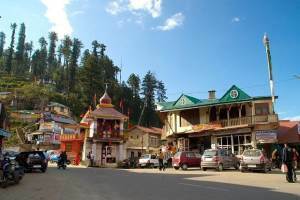 This small commercial hub is located at a distance of 130 KM from Shimla on the NH 22. This town by the side of Satluj river is at lower height than the surrounding areas. 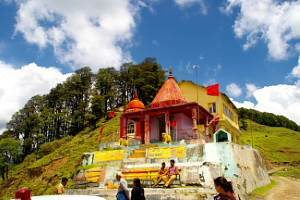 While traveling from Shimla at your left a big status of Lord Hanuman will be visible at the entrance of Rampur town. The city center has a beautiful old structure displaying the traditional style of the town. Rampur was the seat of former Princely state of Bushair ( Bushehar, Bushehar ). Near the center of the market the palace of the king is there. 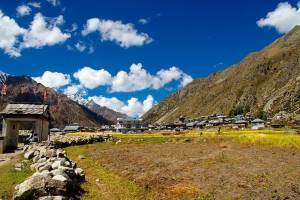 This place was on the main traditional trade route to Kinnaur & Tibet. 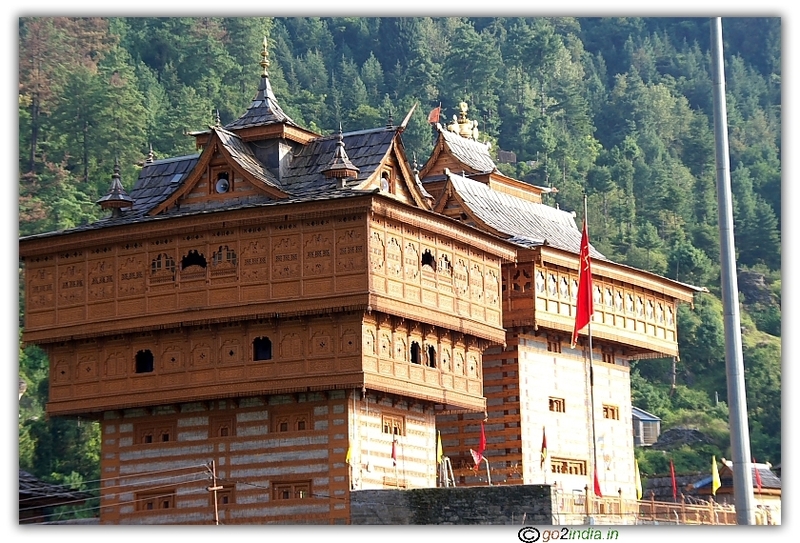 Rampur has all the modern facilities and it can be used as stopover before the long journey to Lahaul Spiti. You can take fuel for your vehicles here. 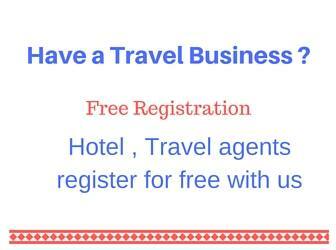 The main town is on the National Highway and the Himachal Tourism Hotel Bushehar Regency is located on the Highway. Nearest Airport is Shimla ( Jubbarhatti airport ) 152 KM. Broad gauge railway stations are Kalka and Chandigarh. 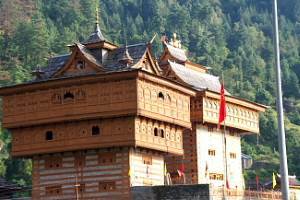 At a distance of 4 KM from Rampur towards Shimla side a right side road will take you to Nirmand ( 17 KM ) the largest village of Himachal. 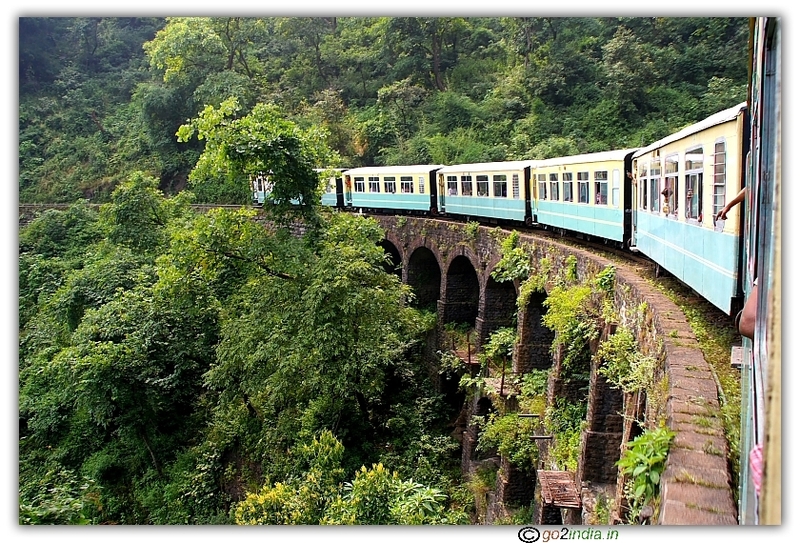 30 KM from Rampur towards Shimla side a road goes to Kullu Manali via Jalori pass at Luhri junction. 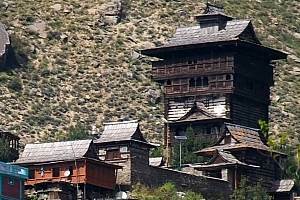 10 KM from Rampur towards Kinnaur side is the small town Jankari. Here good hotels are there to stay in night. In winter seasons heavy woolen clothes and in summer light woolen dresses are required. Roads to Rampur remains open throughout the year. Famous Yatra to to Sri Shrikhand Mahadev starts in the month of July. In year 2013 the Yatra dates are from 13 July 2013 to 25 July 2013. 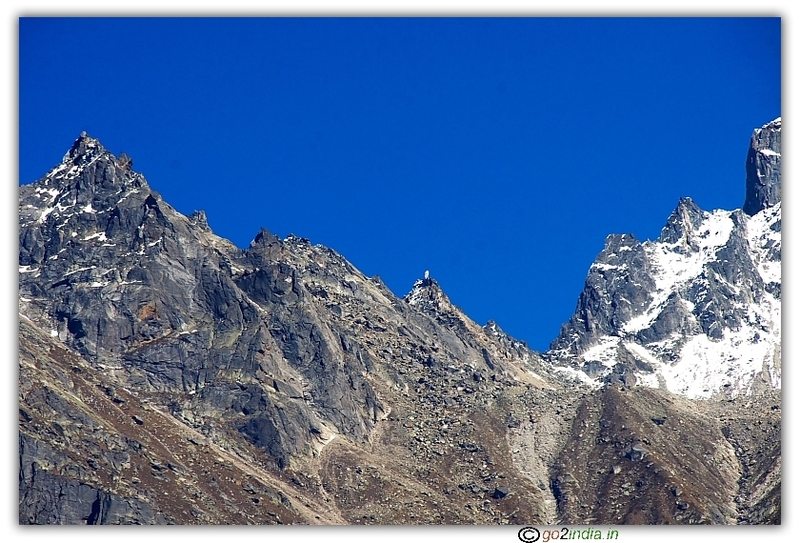 This big linga of Sri Shrikhand Mahadev is visible from Sarahan and few other places when sky is clear. This Yatra by foot starts from Jao village in Kullu district. 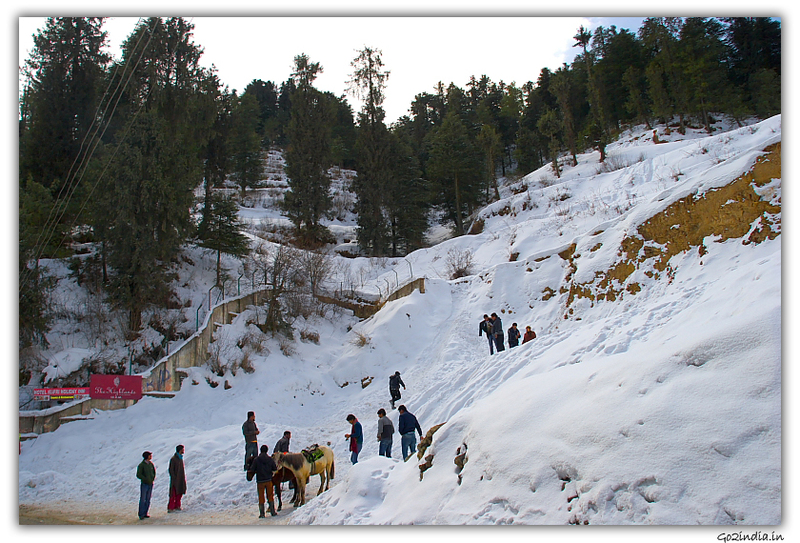 By road ( using vehicle ) Jao village can be reached by travelling from Shimla � Rampur � Nirmand � Bagi Pul � Jao village. From Rampur Jao village is 42 KM. There are three night stay points in this 30 KM long trek. After this you have to return to Bhim Dwar or Parvati Bagh after Darshan in same day and continue return journey.